Mark Humphries is the senior partner of Humphries Kerstetter LLP with nearly thirty five years’ experience in contentious legal practice. Mark founded the firm after serving as Head of Advocacy at Linklaters LLP for over fifteeen years. He is an experienced solicitor-advocate who was one of the first solicitors to be qualified to appear in the English higher courts following the changes in rights of audience brought about by the Courts and Legal Services Act 1990. Mark has been cited consistently by the relevant legal directories as a leader in the field of commercial litigation. Mark has very broad disputes experience with an emphasis on commercial contracts, banking, industrial disputes, insurance and professional negligence. He has experience with all methods of commercial dispute resolution including litigation, arbitration and mediation. Mark has acted as advocate in many high profile cases in the High Court, Court of Appeal and other courts in England. He also has extensive experience as a trial advocate in international tribunals including ICC, LCIA and market arbitrations seated both in England and abroad. Mark is also an expert on UK anti-money laundering laws and regulations, having served as Money Laundering Reporting Officer both for Linklaters LLP and Humphries Kerstetter LLP. Mark has held many professional offices including the chair of the Solicitors’ Association of Higher Court Advocates (1999-2001) and membership of various professional committees, working groups and task forces – most recently a member of the board of the Solicitors Regulation Authority and chair of the SRA Financial Protection Committee (2010-2012); member of the Law Society’s Rules and Ethics Committee (2003-2006); and member of the Law Society’s Money Laundering Task Force (2008-2009). He is the current Lloyd’s Members’ Ombudsman. He was a founder member of the Commercial Litigators’ Forum, under whose auspices he was the principal author in 2003 of an influential research paper on electronic evidence. Mark has special interests in legal ethics, access to justice and innovative litigation funding techniques. He devised the “Pursuit” litigation insurance scheme, launched in 1999 and currently underwritten by Munich Re, and introduced the concept of “recoverable contingency fees”, cited by the Civil Justice Council in 2008 in a research paper entitled “Improving Access to Justice”. Mark regularly publishes professional articles concerned with litigation and advocacy related subjects and has presented on a wide variety of related subjects at professional conferences. 1984: The College of Law, Guildford. 1983: B.A. (Hons) Cambridge University (St Catharine’s College). Mark speaks conversational German and has a working knowledge of Portuguese (Brasilian). Haarhaus & Co GmbH v Law Debenture Trust Corp plc and Others  BCLC 640 (as advocate). R v Board of Inland Revenue, ex parte Goldberg  QB 267. R v Secretary of State for the Environment, ex parte Rose Theatre Trust Co  1 QB 504. Elders Pastoral Limited v Bank of New Zealand  1 WLR 1090. Elders Pastoral Limited v Bank of New Zealand (No 2)  1 WLR 1478. Lark and Others v Outhwaite and Others  2 Lloyd’s Rep 132. Joint Administrators of British & Commonwealth Holdings plc v Spicer & Oppenheim  3 WLR 853. Mukoro v European Bank for Reconstruction and Development and Another  ICR 897 (as advocate). Yasuda Fire & Marine Insurance Company of Europe Limited v Orion Marine Insurance Underwriting Agency Limited and Another  QB 174 (as advocate). “Liverpool Dockers Cases” 1995-1997 (as advocate). Credit Lyonnais v New Hampshire Insurance Company  1 Lloyd’s Rep 191;  2 Lloyd’s Rep 1 (CA) (as advocate). In re British & Commonwealth Holdings plc  BCC 200 (as advocate). British & Commonwealth Holdings plc v Barclays de Zoete Wedd Limited  1 BCLC 86 (as advocate). University of Oxford v Humphreys  ICR 405 (CA) (as advocate). Bell Cablemedia plc v Simmons  FSR 34 (CA) (as advocate). Dornoch Limited v Mauritius Union Assurance Co Limited  Lloyd’s Rep IR 127;  2 Lloyd’s Rep 475 (CA) (as advocate). Halifax Life v Equitable Life  1 Lloyd’s Rep 528 (as advocate). British Energy Power & Energy Trading Limited v Credit Suisse  2 Lloyd’s Rep 427. GB Gas Holdings Limited v Accenture (UK) Limited and Others  EWHC 2734 (Comm);  EWHC 2966 (Comm). Meritz Fire & Marine Insurance Co Ltd v Jan De Nul NV and Another  EWHC 3362 (Comm) (as advocate);  EWCA Civ 827 (CA). Cetinkaya Avukatuk Ortakligi v Schlegel Automotive Europe Ltd  EWHC 3457 (Comm) (as advocate). Tesco Stores Ltd and others v MasterCard Inc. and others  EWHC 1145 (Ch). Mark has also acted as advocate in numerous confidential international arbitrations including in a massive ICC arbitration seated in The Netherlands between a UK defence company and a Middle Eastern state lasting more than 15 years and an arbitration seated in Switzerland between international investors in the Hungarian media market. 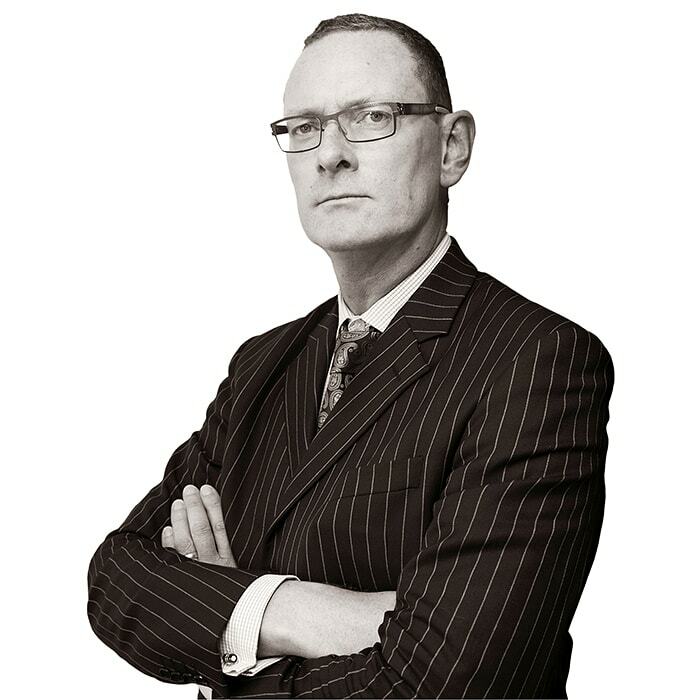 Mark has settled numerous cases through mediation including a computer leasing dispute regarded as one of the largest successful UK commercial mediations involving claims of nearly £1 billion.